Volunteers travel to multiple rural communities outside Nome and see firsthand the impact of their work in the region. A wide range of bachelor’s degrees is welcome at KNOM. 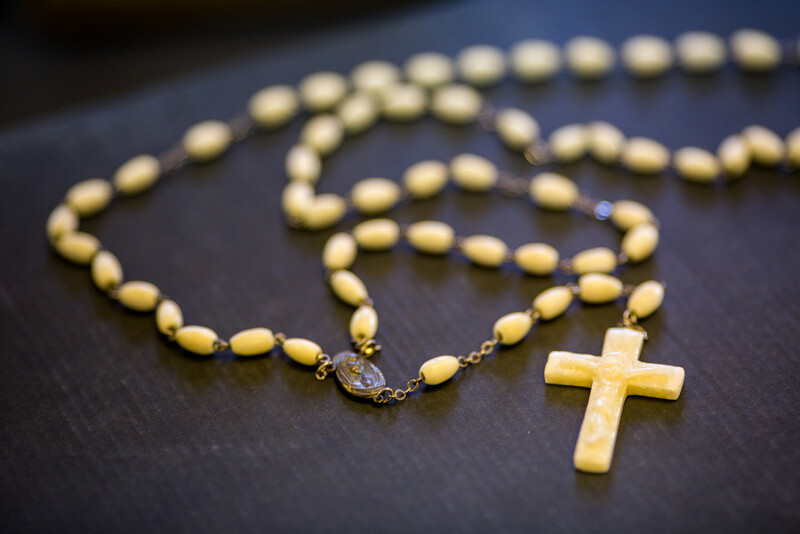 Learn more right here at knom.org. The “priority deadline” for volunteer applicants is February 15. 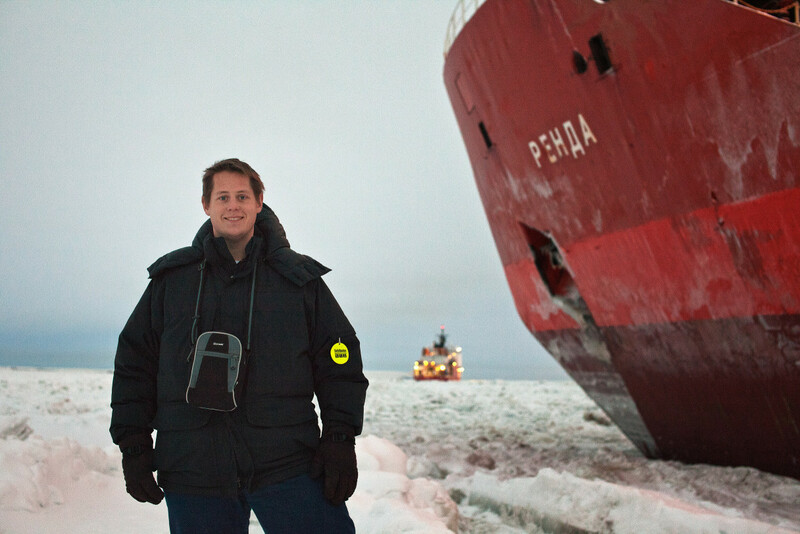 Image at top: Matthew Smith (2010-12), above, stands on the frozen Bering Sea in January 2012 next to the Russian tanker Renda (and, in the distance, the U.S. Coast Guard icebreaker Healy). The ships came to Nome to complete a crucial fuel delivery that had been delayed by weather; their voyage made international headlines. At the time of the photo, Matt had just disembarked from the Renda; he was one of the only journalists allowed onboard. 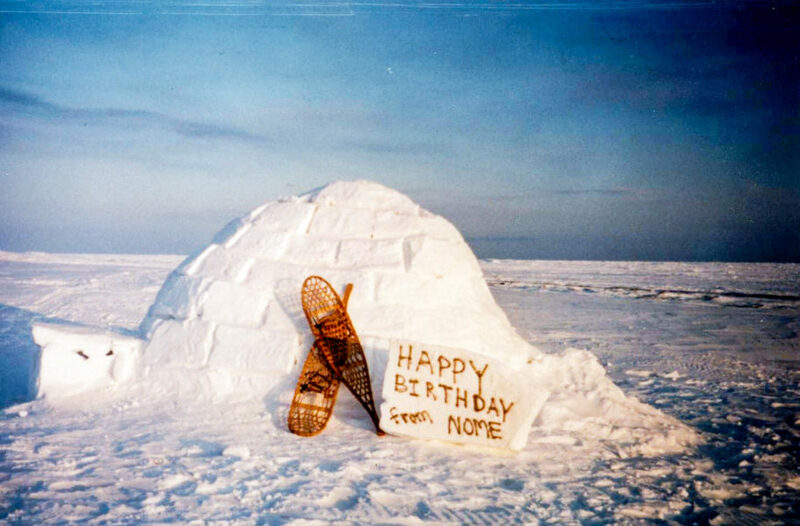 Photo: David Dodman, KNOM. Maddie Winchester (2015-16) reports live during the Iditarod Trail Sled Dog Race. 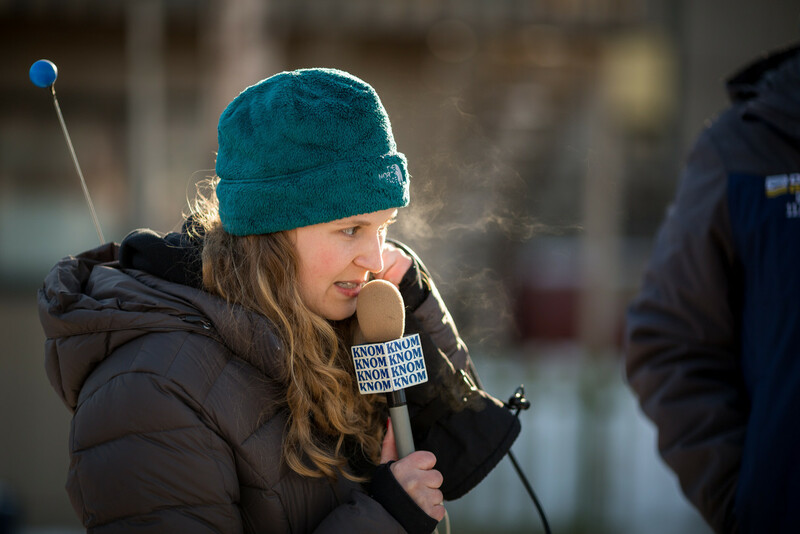 Volunteer fellows take a lead role in coverage for the 1,000-mile race, with on-air updates and live musher interviews at the Nome finish line, where Maddie is reporting in this 2016 picture. Photo: David Dodman, KNOM.